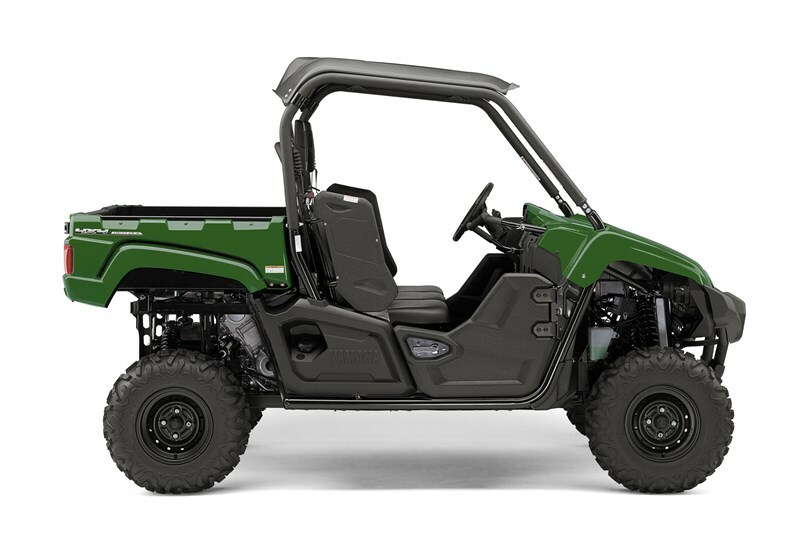 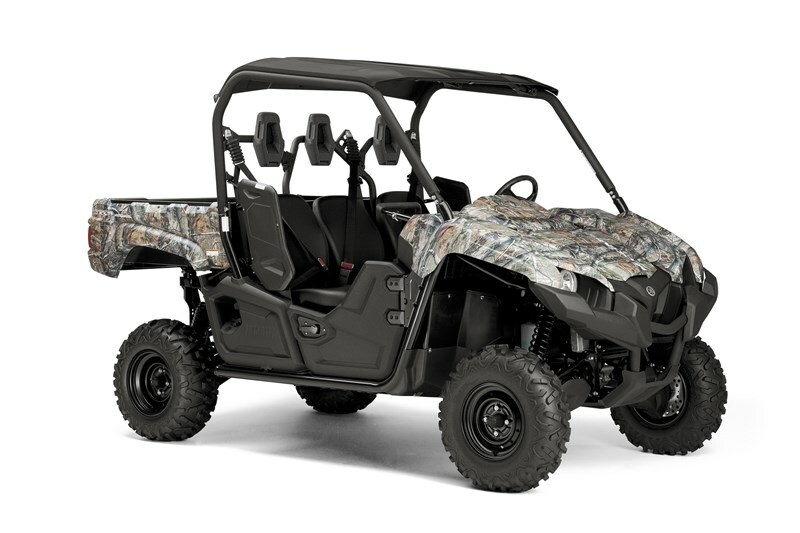 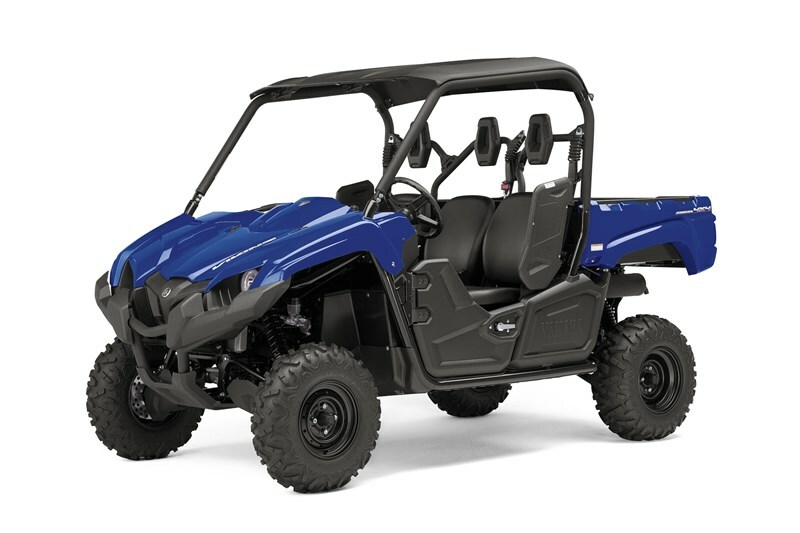 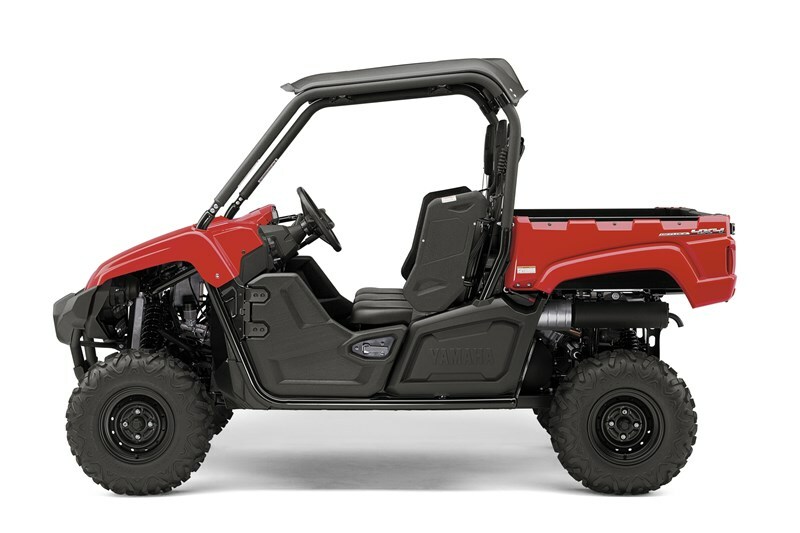 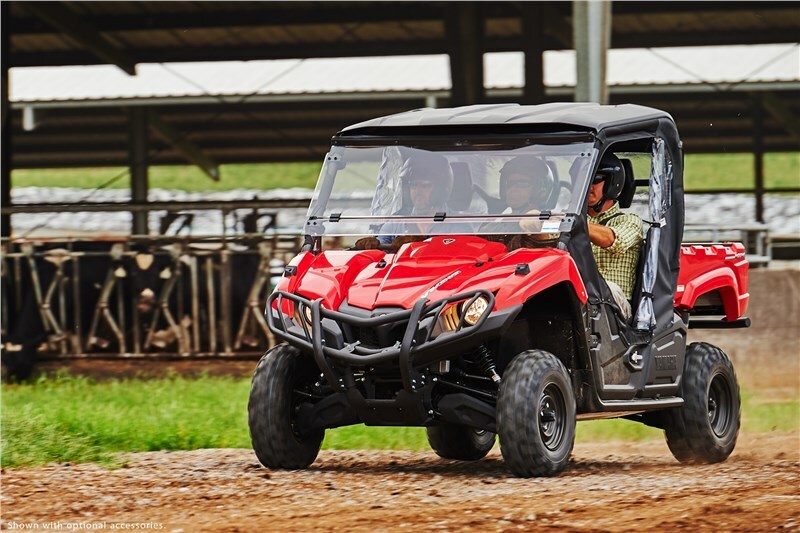 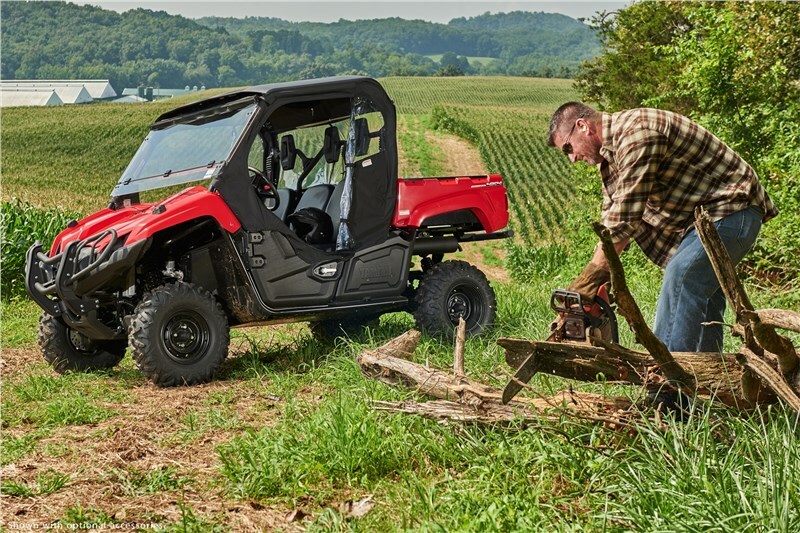 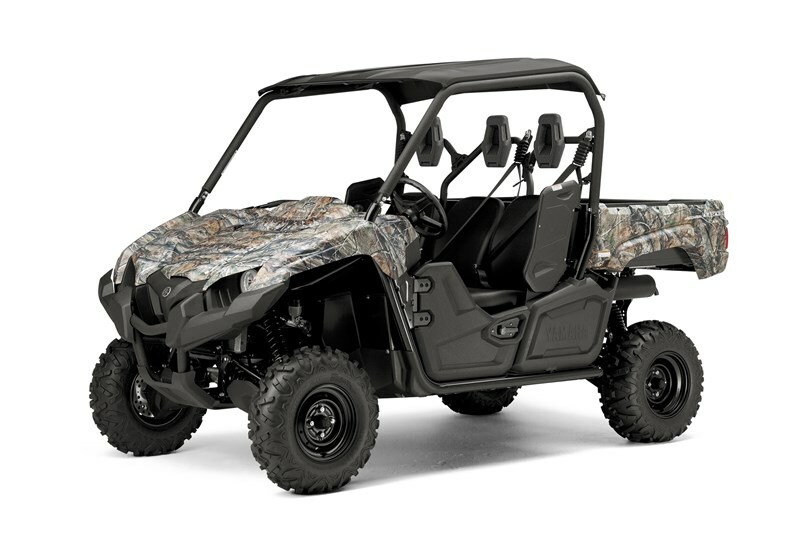 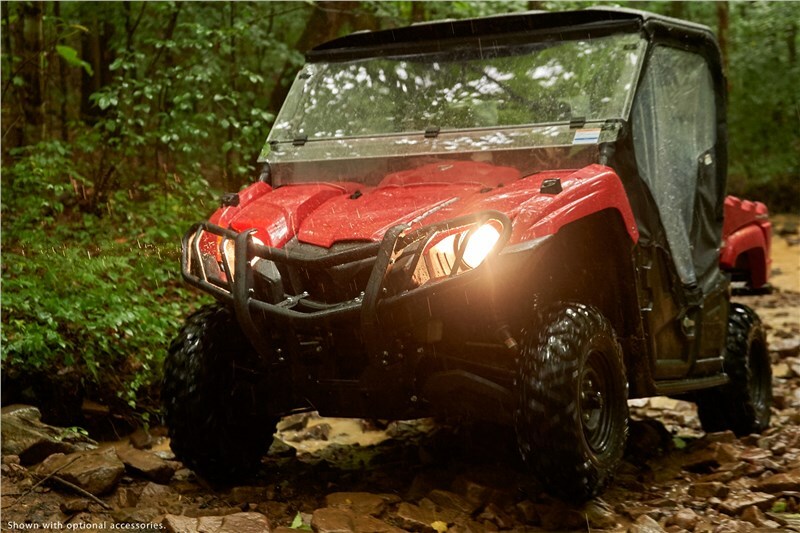 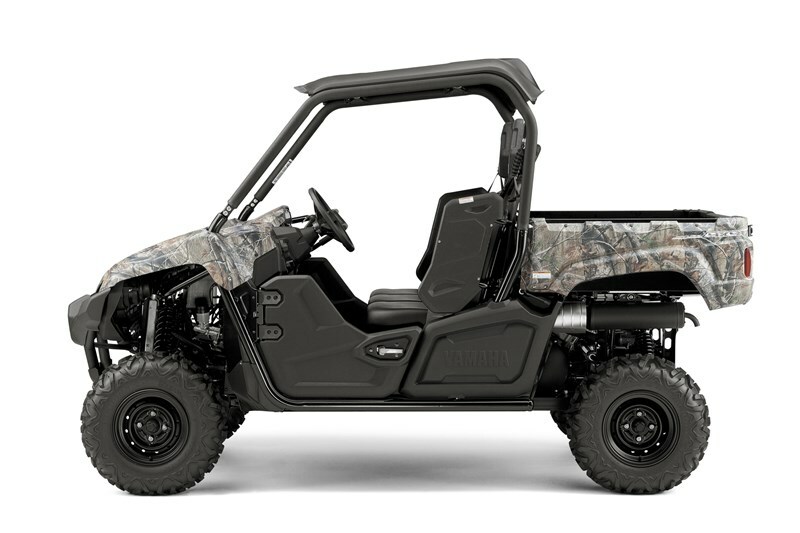 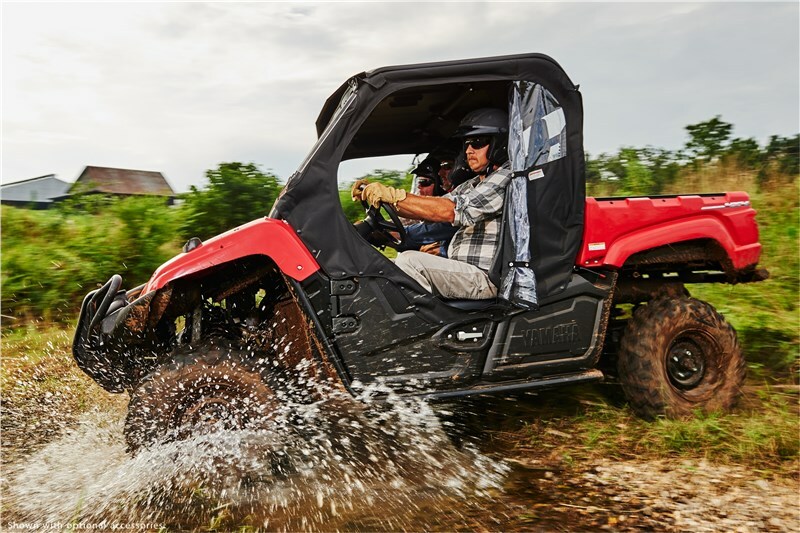 This true 3-passenger machine achieves driver and passenger comfort with a handhold, padded head rests, and 3-point seat belts for all riders. 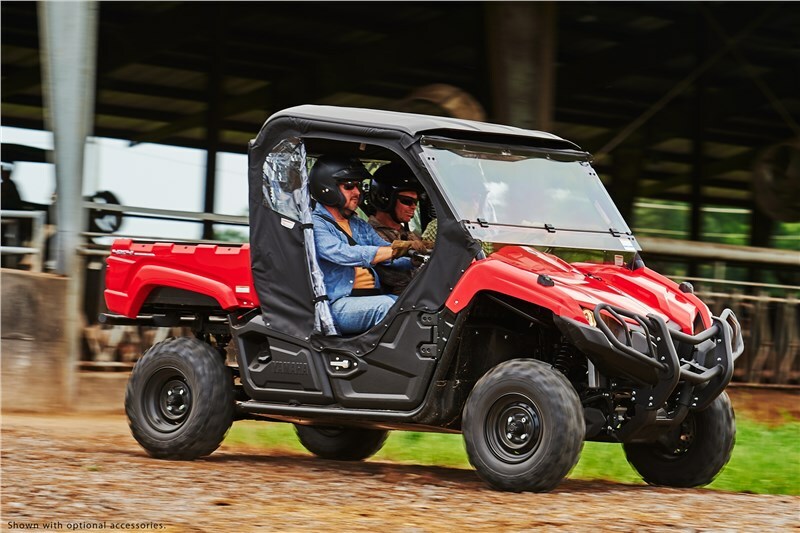 The superior seating position, adjustable driver’s seat, and the middle seat set back 5 degrees all provide unmatched comfort that riders will appreciate. 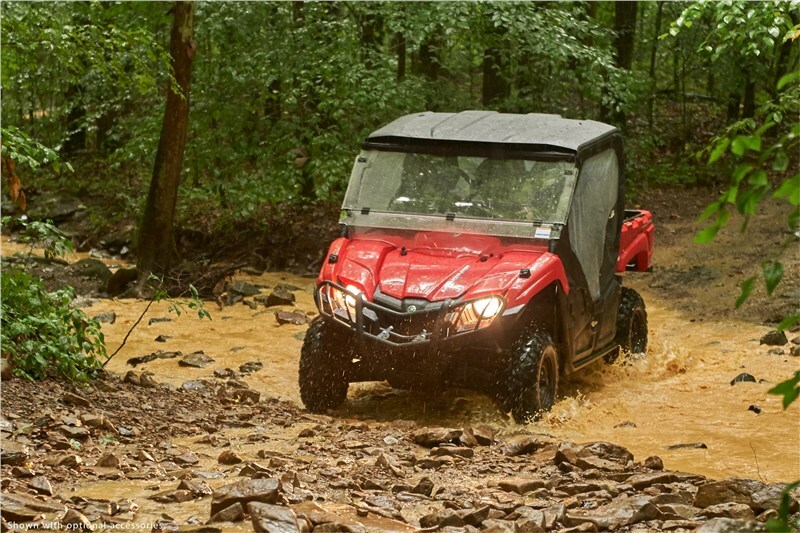 Yamaha’s proven electric power steering technology further reduces fatigue and strain on the driver, too. 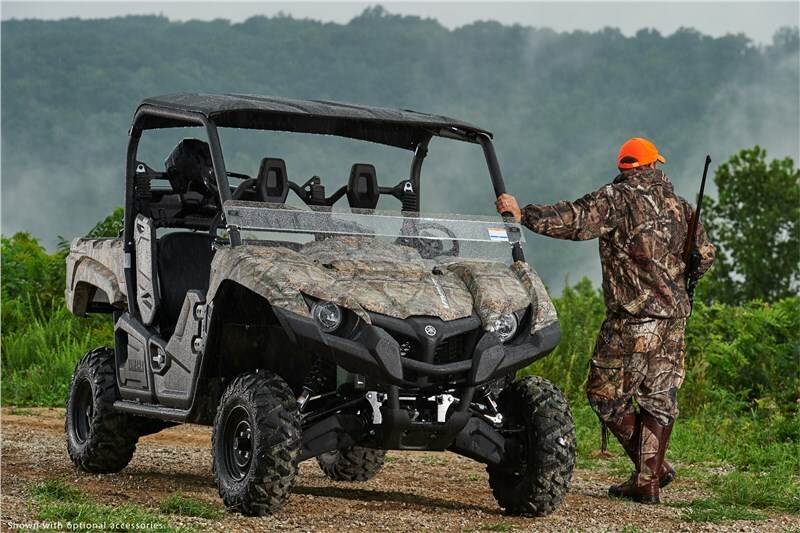 A maximum 11.8-inch ground clearance delivers underbelly protection while enhancing terrainability. The Viking EPS's width also helps minimize 30” row crop damage. 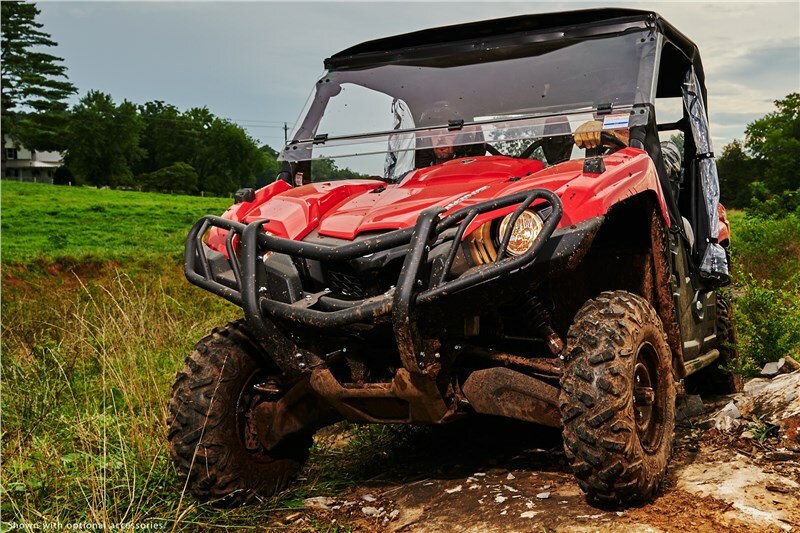 Steel skid plate under the frame provides protection from rocks and ruts and helps prevent the Viking EPS from getting stuck. 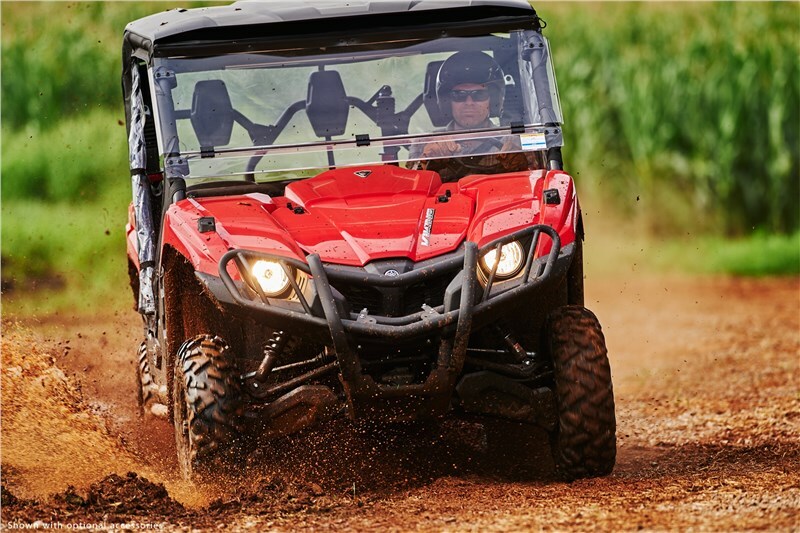 A new welded rear skid plate improves slideability ever more.